Ever confused by all of the many sources of Las Vegas information on the internet? Did you know most of them are from out-of-town and not always accurate? Wouldn't it be great to have someone in Las Vegas who is in the know who can provide knowledgeable, first-hand help and answers to make your next visit the best ever? What if for the amount of time it takes to drink a cup of coffee (and for about the same monthly price -- paid yearly), you'd get regular Las Vegas updates in your inbox that would help make you among the SMARTEST of the millions of Vegas visitors on each and every visit! Guaranteed! In addition, what if you had access to our exclusive list of hundreds of the most current UNLISTED Las Vegas food and drink specials! Did you know what spot on the Las Vegas Strip offers $3 well drinks? Which celebrity chef offers a complete dinner for under $50? Or that the 99 cent shrimp cocktail returned to Las Vegas this past summer? Wanna know where? What is it like to come to Vegas and have amazing specials all around you, specials you can't take advantage of because you simply don't know about them? Wouldn't it be great if you had access to our special secret master list? Think about how much that would save you each and every trip! What if we told you that for the price of a cup of coffee each month, YOU can have access to hundreds of "no coupon needed" Las Vegas food and beverage specials guaranteed to save you money, plus, real answers to your Vegas questions, and our exclusive weekly members hotsheet with exclusive news and reviews, directly from the heart of Las Vegas! I've heard enough. I'm in for my first year! SMARTEST Vegas Visitor When My Next Trip Happens! Welcome To Our AccessVegas.com Exclusive Insiders Advantage! What Is The Insider Advantage - Our yearly membership program, which guarantees to to make sure you are "in the know" and get maximum savings on every Las Vegas vacation. Why Is It Important To Have The AccessVegas.com Premium Insider Advantage? - Las Vegas is still full of amazing food and beverage specials. However, that does you no good if you don't know about them. We solve that problem by dedicating team members to calling, checking on them, and compiling them in our Vegas Super Secret Specials Spreadsheet (list). You will not find this comprehensive list of hundreds of amazing "no coupon needed" specials anywhere else! In addition, we answer members questions professionally, giving you accurate Las Vegas advice and sharing that help with other members who may have the same questions. What's more, it is the exclusive place to hear the real scoop about what is happening in Las Vegas from AccessVegas.com CEO Ted Newkirk. How Is It Delivered? - Via the Internet. Three times per month, we email you a members-only link that gives you online access to our latest Insider Advantage newsletter and also includes the very latest, updated Vegas Super Secret Specials Spreadsheet (list) access online. What Am I Going To Get? - Access to the exclusive food and beverage "no coupon needed" deals list, access to our "Your Man In Vegas" program where our team is available to answer members email questions, and AccessVegas.com CEO Ted Newkirk's "Newkirk's Notes" which have been giving visitors the scoop and inside knowledge on Las Vegas since 1997. How Much Is It? - All of the above -- for an entire year -- is only $23.95 for an entire year, or just about the cost of one cup of coffee a month. What's more, we GUARANTEE you'll save more than the cost of the membership in both time and money so you will not be wasting either when you visit our fine city. Double For Nothing Guarantee - We're so sure that you'll save more than the cost of your membership both in savings and in time, that if you don't feel you got value on just one Vegas visit, or if you don't visit in the next year, we'll give you the second year for free. No questions asked. I get a lot of news from your newsletter weekly and make a list of different attractions to see and things to do. Greetings from the Uk! Thanks for all the info and good work you and the team do to bring us the Vegas news. Definitely worth "a cup of coffee a month!" Enjoy the information you send. Thank you for keeping us informed on what happens in Las Vegas. Whether you are planning your very first trip to our city, or have been coming for decades, you know that Las Vegas is always changing. It is impossible for even a regular visitor to keep up. And what about the food and drink deals? Where did they all go? Do I have to spend $10 for a cocktail and $20 for breakfast unless I want to eat fast food? The internet seems so full of Las Vegas information now. How can I even try to keep up? And more importantly, who should I trust? Here at AccessVegas.com, we've been covering Las Vegas since 1996. We live here. We spend hundreds of hours each month keeping up on everything about Las Vegas so you don't have to. Our Vegas Super Secret Specials Spreadsheet (list). Food and drink specials still abound in Las Vegas. Whether you want to pinch a penny until Abe Lincoln cries, or really live it up with fine dining without your credit card catching on fire, our EXTENSIVE food and drink deals list will help you find the specials. Don't be that person who walks within 100 feet of a great special in Vegas and not even know about it! Our "Your Guy In Vegas" program. Wouldn't it be nice to get a professional, definitive answer to your Vegas visit questions instead of spending hours searching the internet and still not being really sure? We promise -- within reason* -- to answer our members questions. We live in Las Vegas. We either know, know who to talk to and find out, or can go take a look/see for ourselves. You get a helpful, rock solid answer. * Some things are simply beyond the scope of our research. 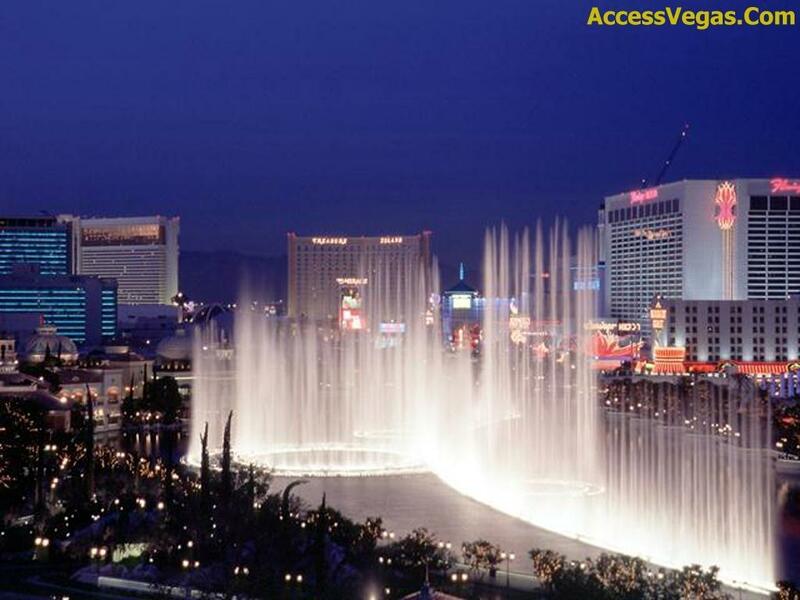 AccessVegas.com Insider Vibe Premium Advantage Edition - Since 1999, hundreds of thousands of readers from around the world have enjoyed our famous Insider Vibe Las Vegas newsletter, delivered right to their inbox 3 times per month. Our Insiders Advantage edition contains more great Vegas content, exclusive great deals and Publisher Ted Newkirk's exclusive Newkirk's Notes, which gives you the complete Vegas scoop based on his two decades in the business. Instead of surfing the internet endlessly for Las Vegas information, you're able to go out and enjoy yourself while we do all the heaving lifting for you, serving it up in one easy-to-digest newsletter format! Double For Nothing Guarantee - If you don't absolutely feel that you saved far more than the price of the membership on just one Las Vegas visit, or if you simply don't visit in your first year of membership, we'll comp you the second year for free! No questions, no hassle. That is just how much we believe in this membership offer! I want the list of hundreds and hundreds of "No Coupon Needed" Food and Dining Specials at Las Vegas casinos, the "Your Guy In Vegas" privileges to get my questions answered professionally, and the Insider Advantage edition of your email newsletter! No Thanks. I'd rather come to Vegas without your insider tips, pay way too much for food and booze, and deal with unreliable sources for my Vegas info. I am DELIGHTED that you responded so quickly and with such great advice! I feel like my subscription has already paid for itself! I really appreciate the efficient and friendly service. I've been reading your newsletter for years and always enjoy keeping up with what's going on in Las Vegas!! It is by far the best newsletter around!!! Just renewed my membership for another year. I have enjoyed my subscription and look forward to each issue. Thanks for all the wonderful information you provide. You have a great newsletter and I thoroughly enjoy reading/watching everything you include. Kudos for the work you and your staff put in. I quickly renewed my subscription, without hesitation. I average two visits a year from Colorado and your in-depth articles really help me determine what my schedule may be. Thank you for writing such a great newsletter. There is nothing else out there like it. We recently spent a week on the strip and I wanted to thank you all for the pointers that I received by reading your weekly emails. Your help with pointers on Taxi rides from the airport was greatly appreciated and saved us money. Kerry and Marian from Baltimore, Md. I cannot say enough about all the FABULOUS info you guys put out. Thank you for the time and energy you put toward the site and the super secret spreadsheet! I so welcome each newsletter. Always look forward to the next. Love your newsletter look forward to receiving it every week, makes us feel closer to Vegas during the many long months between trips! ...really enjoy the newsletter you put out. One of the reasons I don't mind paying the subscriber fee for the newsletter is that you have a very practical and pragmatic view on Las Vegas, as is the case in this issue. Keep up the great work! We enjoy the newsletter and all the info included in it. Firstly I want to say how much I enjoy AccessVegas. I've been a subscriber for many years, so long in fact that the first time I emailed in a question Ted responded back to me himself! Thanks for the latest newsletter. Always a good read! I enjoy reading your newsletter, it is very informative and entertaining. Thanks for keeping us up to date on everything. You have saved me money, and turned me on to cool things. I check many vendors in the newsletter for various activities. I have been very satisfied. You have always provided top notch stories, research and advice. I really appreciate your dedication!